For all the modern prattle about left brain & right brain; Pink’s Whole New Mind; and industrial design/user experience, can you name one contemporary person who has even approximated the genius of Leonardo da Vinci? I couldn’t either. So given his singularity we can simply acknowledge his brilliance and slouch back into our mediocrity, or knowing full well that we will fall dismally short, nevertheless persevere in our effort to distill his genius into actionable guidelines for ourselves. Forget about a notebook scribbling 525 years later…..will anyone remember yours in 10 minutes? At least not if it’s based on your perspective. See, here’s the thing. Great companies are noteworthy for the inspired focus they bring to what they do. Because their raison d’etre is so clearly defined it frames the way they view everything. And the inability to step beyond one’s personal and institutional perspectives is perhaps the most limiting business development challenge we all face. If you sell a machine to a manufacturing plant manager, your shared lexicon may be HP, RPMs and MBTW but your product is viewed, ultimately, in the context of very personal priorities. Reduced downtime and efficiency are stepping-stones to bonus, fewer interruptions of family time and increased option value. Similarly your experience buying at WalMart in Wichita is vastly different than that of someone shopping at Extra in Sao Paulo, Carrefour in Lyons, Migros Turk in Istanbul or any of a myriad of small shops in India or Vietnam. 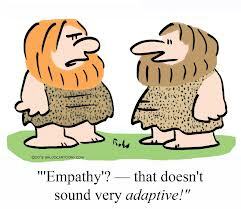 It all comes down to empathy - an intellectual empathy, not some “kumbaya relativism.” After all, we’re all complex creatures. We’re not always sure what we want out of an experience. How can we reasonably claim insight into what others will want as justification for narrowly channeled content? So even content which seems superb as you experience it at any given moment, may not in the light of a different day. This isn’t about creating something that’s going to stop traffic – that’s sensationalism but not necessarily quality. Rather this hinges on creating something that will resonate with those that consume it. And that’s why empathy is key. Just as da Vinci saw a circle where others saw a square, and vice versa; where he saw motion where others saw rest, and vice versa; and where he saw consistency in design where others saw only randomness; so your business development strategies must consider others’ perspectives and inclinations. That translates into a recognition that just because, for example, you and some of your linear thinking colleagues place a far higher value on data intensive white papers, others may eschew that time consuming format for a brief, efficient video overview. Just because you find images a vacuous manifestation of concrete ideas doesn’t mean that others don’t naturally grasp concepts visually. Just because you do your B2B buying research based on a feature; others prefer to search for solutions to known problems or seek avenues to a defined future state. And of course, because you find Twitter inane doesn’t mean that the millions who now turn to it for curation of ideas and research of solutions agree. Creating content and approaching markets in the way that works for your clients is vastly more important than creating what you would want. Did you notice that Pinterest has decided the same thing? While Evernote is an awesome article clipping tool for your private or group use, now you'll be able to clip "Pinteresting" (as they say) articles to boards. This opens up a much broader range of B2B marketing opportunities - across visual & auditory information processing approaches. The melding of artistic and technical solutions and approaches takes more than an open mind. Expansive, creative design and rigorous technical thought don’t easily coalesce into appealing and effective content – even with a ‘persona’ handrail. 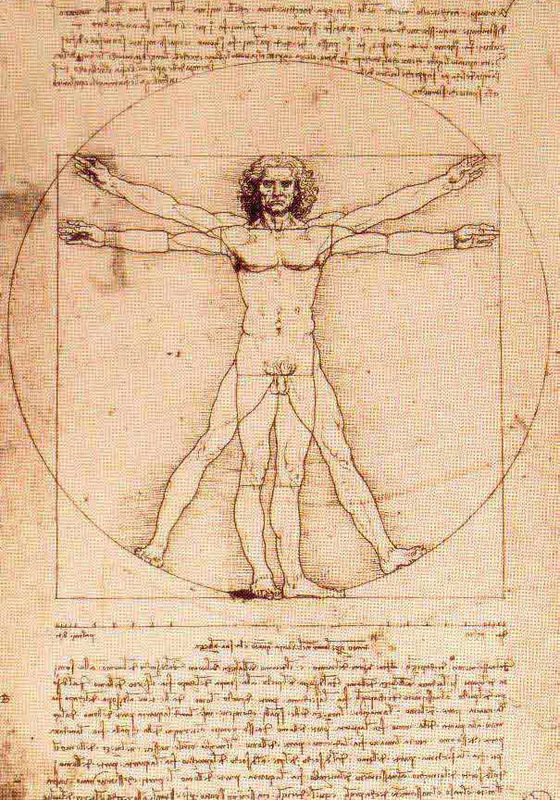 Here’s another lesson deftly imparted by da Vinci in his Vitruvian Man and indeed his body of work. Neither the strategic context nor the detail of tactical execution can be subsumed to the other. Without balance and interplay between the two, the product of any effort is diminished. Business development efforts and growth strategies are no different. Whether the goal is to #SellMoreHere, #SellMoreThere or a blended strategy of the two, an integrated multidisciplinary method is the only viable approach.